The METTLER TOLEDO XP6 is an innovative ultra-microbalance, providing optimal weighing performance, user friendliness and quality standards. The XP6 ultra-microbalance has a very high resolution: 21 million digits. A brilliant colored touch screen display, customized screen programming, intelligent user guidance, and hands-free infrared draft shield control make this highly-precise balance faster, easier and more efficient than ever before.METTLER TOLEDO XP6 ultra microbalance is designed to boost efficiency, reliability and supports network compatibility. 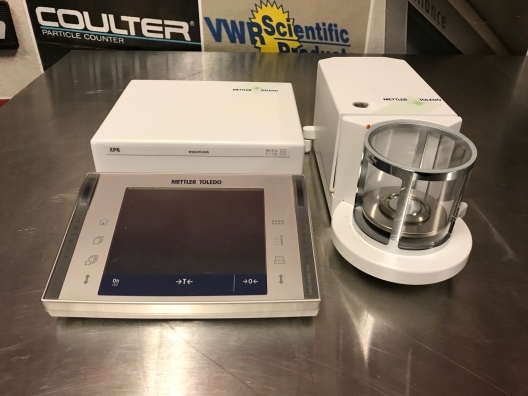 Thank you for your interest in the Mettler Toledo XP6 *DEMO* Analytical Balance (ID #: 19463). To speak with a representative, please fill out the contact form below or call us directly.